Please note that 301 is for a permanent redirect. If you want to do it teporary, you will have to use another status code. 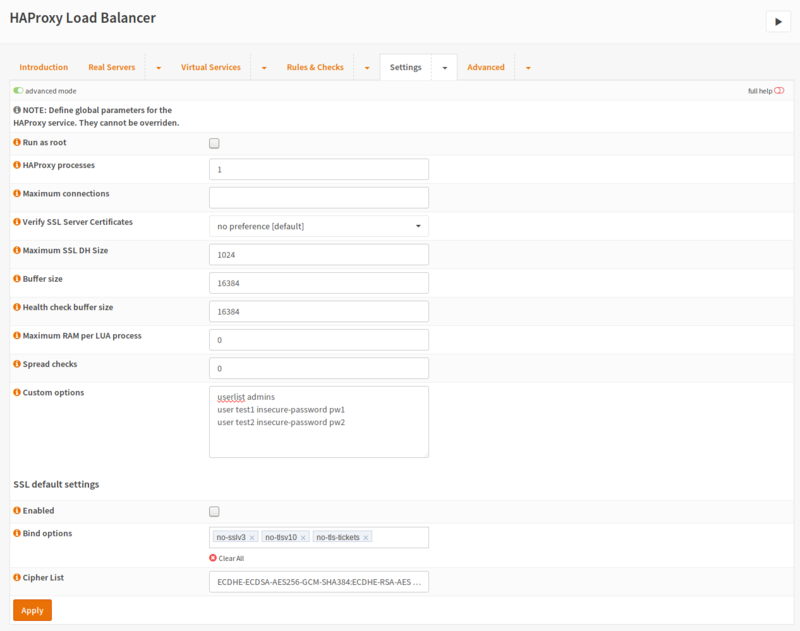 Under Public Services edit your frontend and add “forward_to_dir” to Select Rules. I have a Webapplication which have to be exposed to the outside and doesn’t allow authentication. So HAProxy with basic auth would be just fine to get a mininum of security. Go to your frontend and add the ACL to it.